The London Tooth Wear Centre® is a specialist referral practice in Central London offering an evidence-based approach to managing patients with tooth surface loss resulting from abrasion, attrition and erosion. An increasingly common dental problem, tooth wear can result in sharp and sensitive teeth which may look shorter on smiling and lead to self-consciousness for many patients. Even speaking or chewing can become a problem and patients often experience jaw and muscle discomfort. The team at the London Tooth Wear Centre® provides consultation advice or comprehensive care using the latest clinical materials and techniques in a professional and holistic environment, offering help to patients no matter how early or advanced the problem. Andrew Eder was educated at St. Paul’s School in London and qualified from King’s College Hospital School of Medicine and Dentistry in 1986. Professor Eder moved to the Eastman in 1989 to complete his postgraduate training and graduated with a Masters in Conservative Dentistry. As a Specialist in Restorative Dentistry and Prosthodontics, Professor Eder maintains a specialist referral practice in Central London. He has a special interest in the aetiology, demographics and clinical management of patients with tooth wear and, in particular, those patients with compromised function and appearance as well as sensitivity. 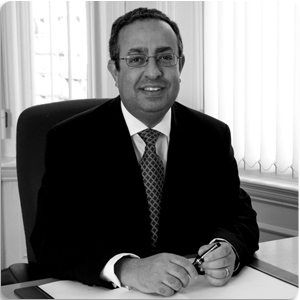 He is Co-Editor of the BDJ book on Tooth Surface Loss and Clinical Director of the London Tooth Wear Centre®. Professor Eder is also Associate Vice-Provost at UCL with a portfolio to facilitate the development of CPD and Short Courses across the University. Previously, Professor Eder was Director of Education and CPD at the UCL Eastman Dental Institute, where he continues to be involved in postgraduate dental education, and Associate Dean for Continuing Education at the UCL School of Life and Medical Sciences. Academic interests also include innovation in teaching and learning as well as the impact of training on patient outcomes in clinical practice. Professor Eder is on the Editorial Boards of the British Dental Journal, Dental Tribune, the European Journal of Prosthodontics and Restorative Dentistry, Private Dentistry and Premium Practice Dentistry. Professor Eder received a Provost’s Teaching Award in 2010, the highest accolade for excellence and innovation in teaching and learning at UCL. He is a past President of Alpha Omega, the Royal Society of Medicine’s Odontological Section and the British Society for Restorative Dentistry. Professor Eder is also Chairman of the Charitable Trust of the Alpha Omega London Chapter, an examiner for UCL and the Royal College of Surgeons and, formerly, Postgraduate Tutor for the London Deanery.